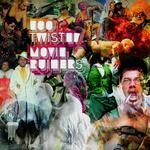 n the mood of the Party Ruiners vol.1 & 2 compilations, Ego Twister Movie Ruiners is the new free music project from Ego Twister records. For this one, we asked 33 artists to reinvent an original movie soundtrack. To make the exercise a little more exciting, we asked them to avoid the use of any sample extracted from the original tracks, as we wanted them to produce real covers, instead of remixes. We hope you will love this new release as much as we enjoyed making it! Please share it as much as you can. Ego Twister records would like to warmly thank all the artist who played this game with us. Please take some time to visit their websites and discover their crazy musical universes.